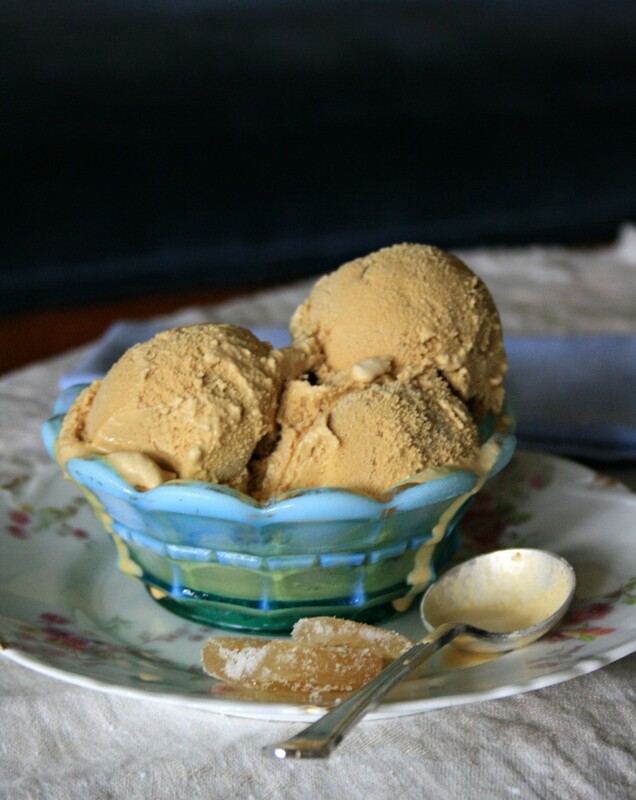 It was my mom’s idea to combine ginger and caramel in this simple no-churn ice cream recipe. 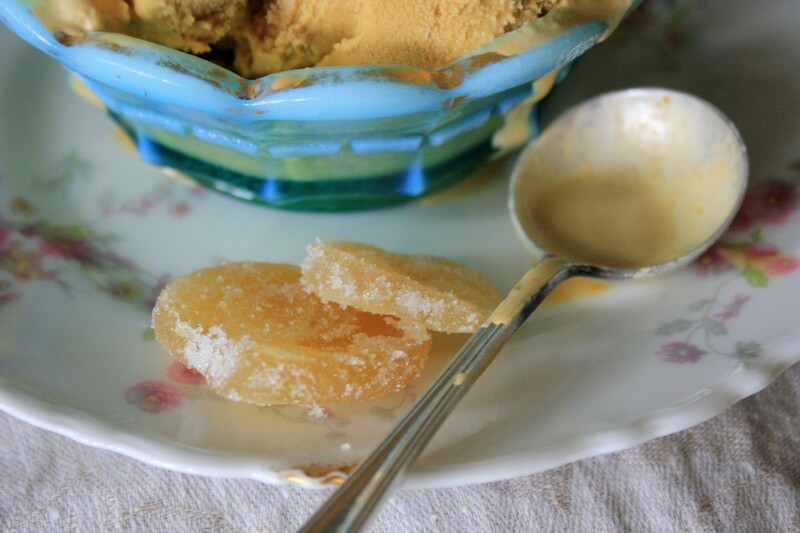 Ginger and caramel are two of her favourite flavours and favourites of mine too. We are officially into the routine of stopping for ice cream cones when we head to our cottage for the weekend. We drive right past a country store that serves a wonderful variety of flavours and with a car full of kids it’s hard not to stop. 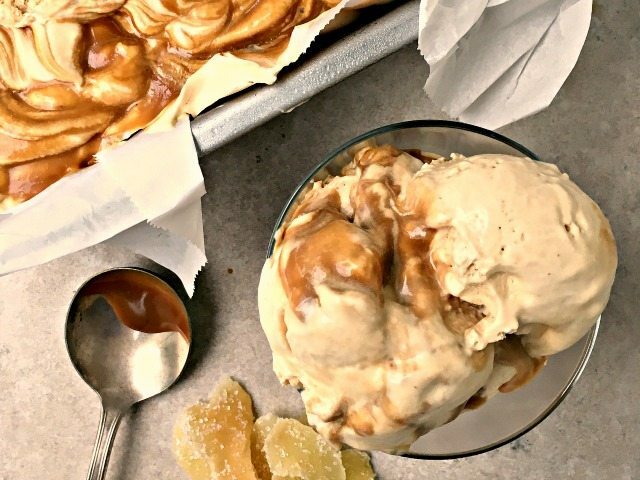 One of my favourite flavours is salted caramel. 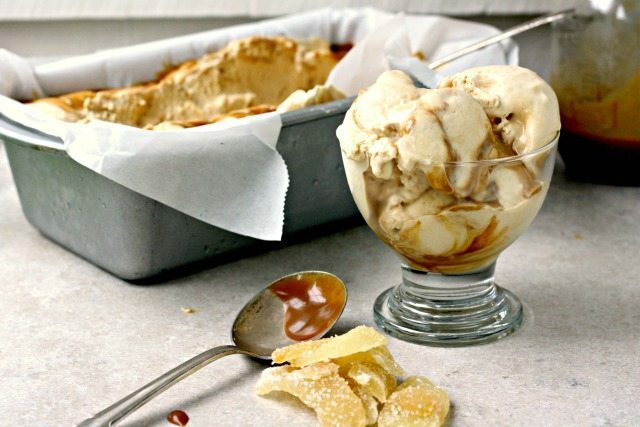 But when I’m eating salted caramel ice cream I can’t help but think about ginger and a homemade ginger ice cream I had on holidays years ago. 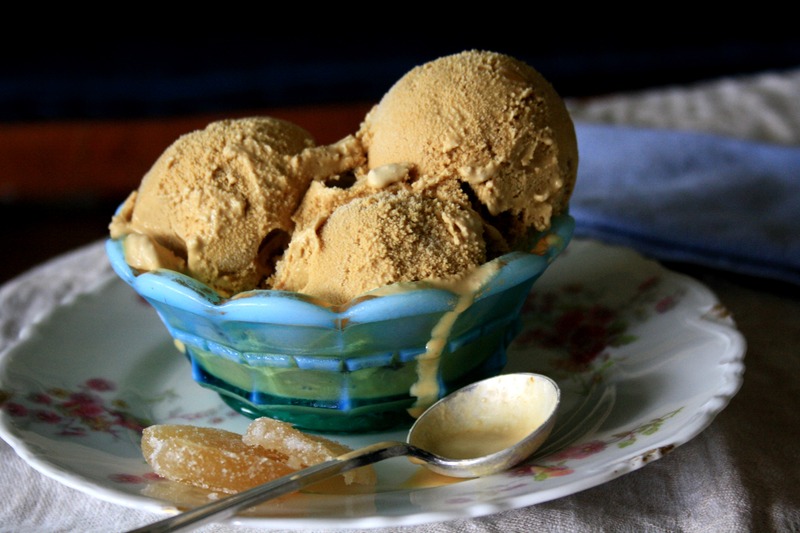 This ginger caramel no churn ice cream is a combination of what are really my two favourite flavours of ice cream: caramel and ginger. 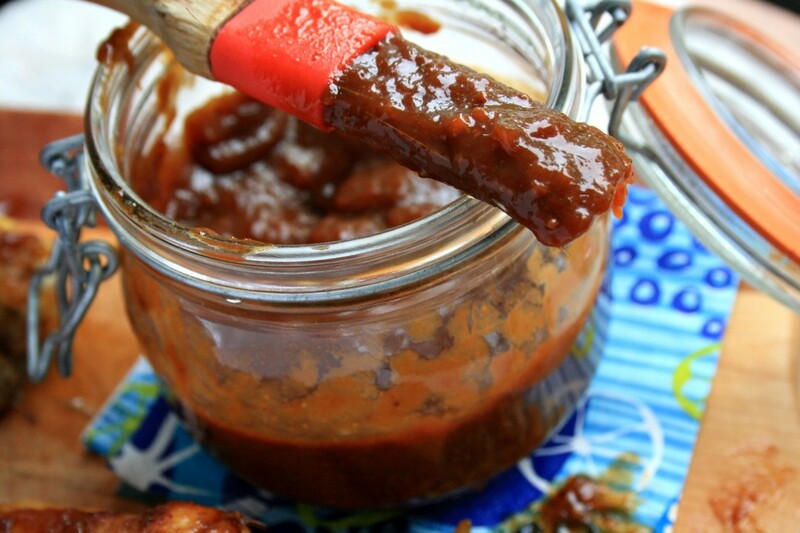 For this recipe I made a half batch of our Molasses Caramel Sauce but you could use store-bought caramel sauce too. 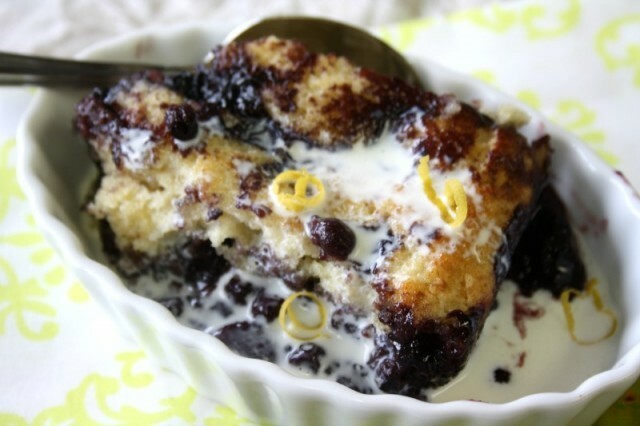 In a small bowl, whisk together the sweetened condensed milk and the molasses. In a large bowl whip the heavy cream until stiff peaks form. Drizzle in the condensed milk mixture and powdered ginger and continue to whip until all the condensed milk is incorporated into the cream and the mixture is thick. Fold in the candied ginger then drizzle over most of the caramel sauce. Stir once or twice (you want thick ribbons of the sauce to remain) then scrape mixture into the prepared pan. Even out the top then drizzle remaining caramel sauce over top. Draw a butter knife through the mixture in a figure-eight pattern to incorporate the final drizzle of sauce. 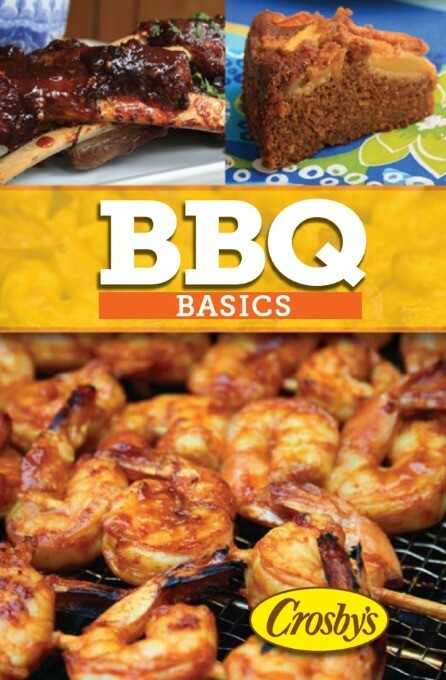 This free BBQ eBook is an easy-to-download eBook featuring 15 recipes that are just right for summer. 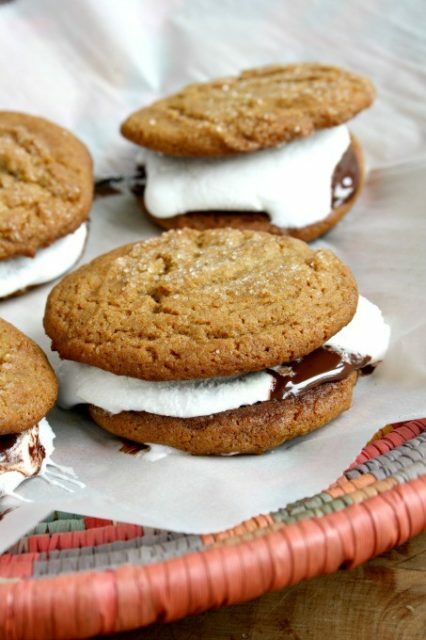 You might be surprised to discover just how well molasses suits summer. In savoury sauces and marinades molasses adds depth and flavour that’s just right for your favourite barbecued foods, including seafood. 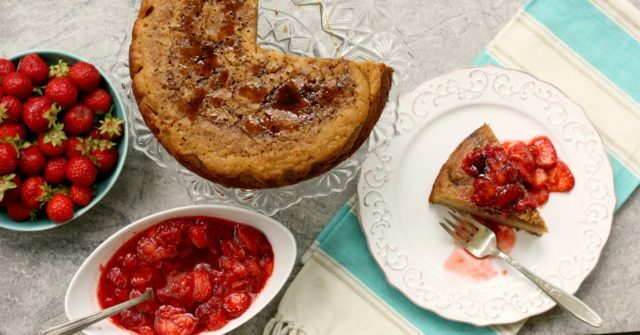 It’s a tangy-sweet addition to simple homemade dressings that will set your salads apart, and molasses adds an unmistakable flavour and wholesomeness to easy summer baking and other treats. 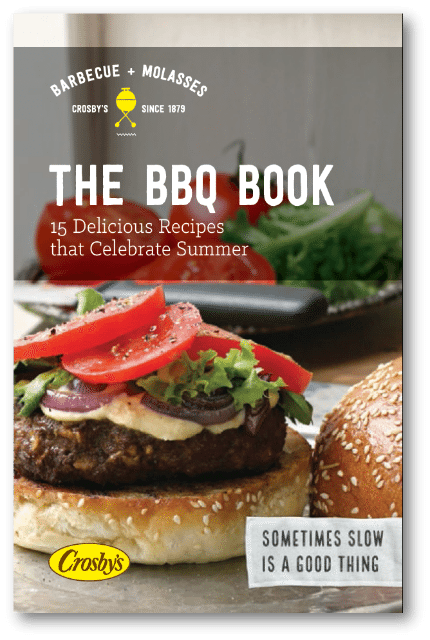 In the free BBQ eBook we’re sharing 15 ways to help you unwind around the table with family and friends this summer. 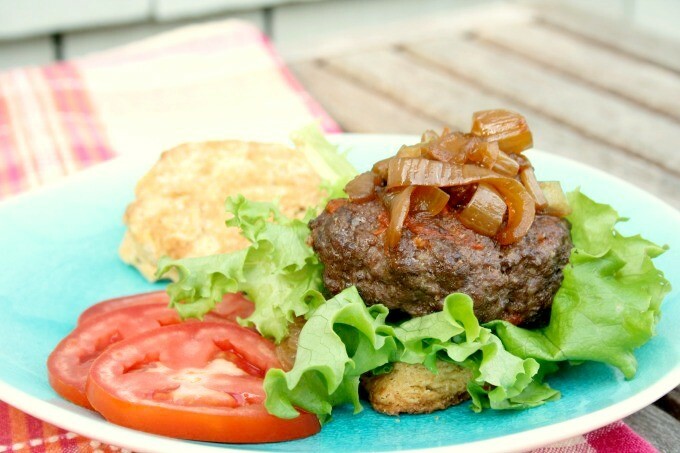 The Mo Burger – an extra moist hamburger seasoned with salsa, Worcestershire sauce and a little molasses. Is there anything more lovely than grilled summer fruit on a salad? 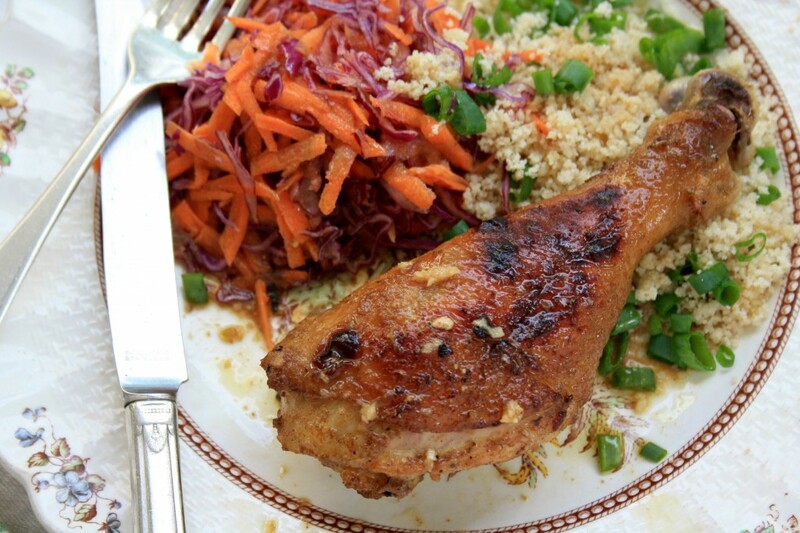 In July we ran a recipe contest with Food Bloggers of Canada members. 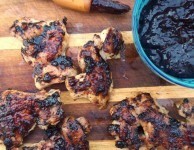 The challenge was to create recipes that suited summer, using molasses. There were three categories: Salad & Side, Barbecue Main Dish, and Something Sweet. 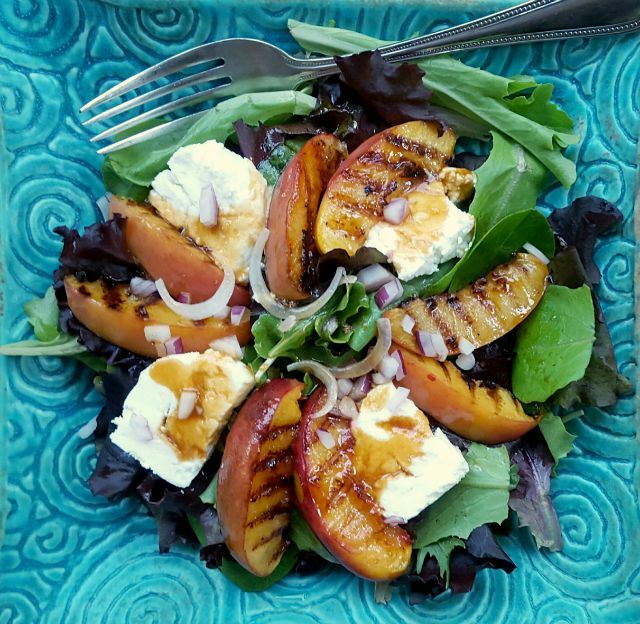 This grilled nectarine salad was the winner in the Salad & Side category. This grilled nectarine salad is the best thing I have eaten all summer — and I eat a lot of very good food. 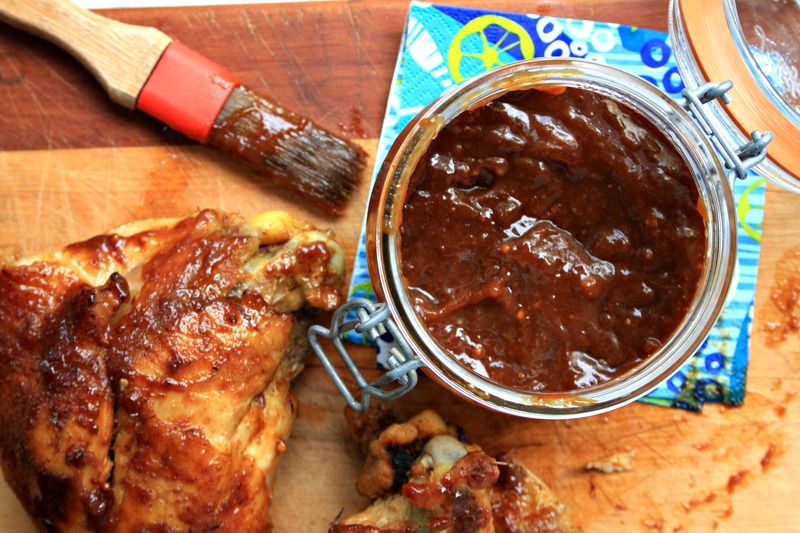 It’s gorgeous, with a chipotle molasses dressing that has a great sweet-with-heat balance. The nectarines soften when they’re grilled and the sugars caramelize a bit, which makes them irresistible. Both the dressing and the nectarine flavours go beautifully with the fresh, creamy goat cheese that you nestle in beside the fruit. 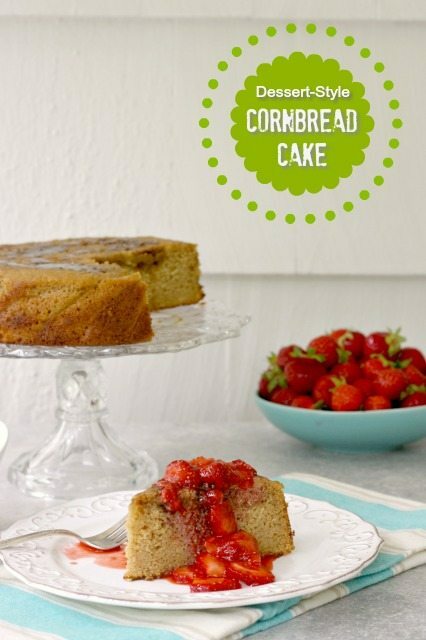 The recipe was created by Leigh-Ann Kearley of Sugar N’ Stuff Blog. (Leigh-Ann was also a finalist in our cookie contest last year with her Rum Runner Molasses Cookies). 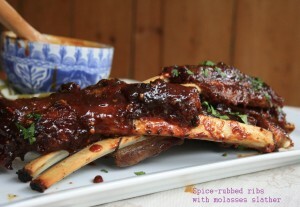 Check out her site…She has loads of great molasses recipes. Toss the nectarine slices in olive oil and ensure cut sides are well coated. 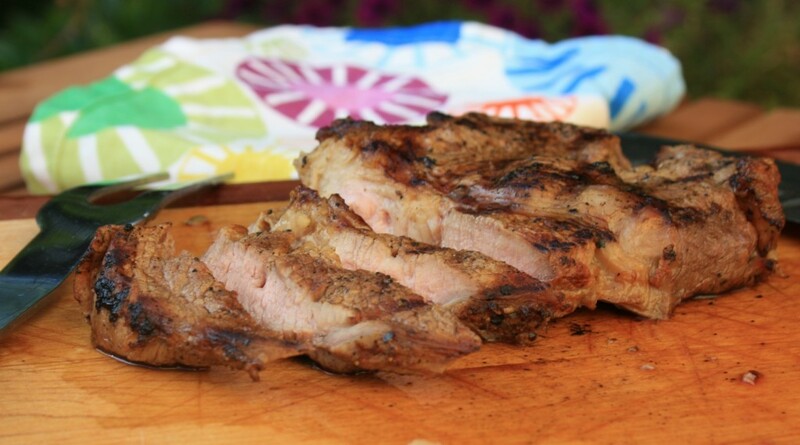 Place cut side down in a grill pan and cook until grill lines form (1-2 minutes per side). Flip and repeat. Remove from grill. 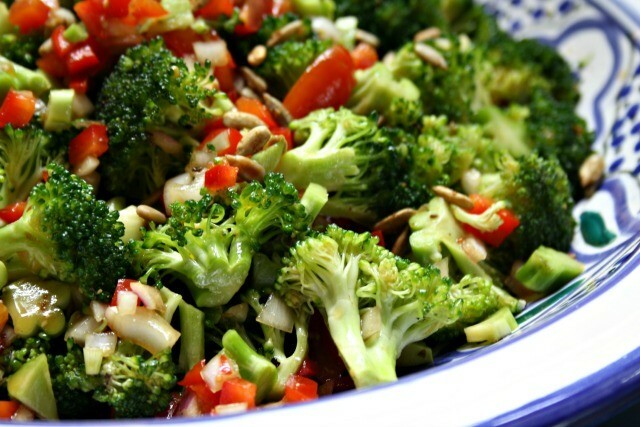 Toss salad greens with chipotle dressing to coat. Transfer to a platter and top with grilled nectarines and goat cheese rounds. Feeding a crowd this weekend? Here are 5 helpful tips, and lots of recipes, to help make your gathering easier and more fun. I have no recollection of Canada Day celebrations when I was growing up and I think it’s because our summers were like one extended family picnic. Week days were spent at the beach and weekends and holidays were for family day trips. These trips always involved great picnics. We were often with our cousins and there were mounds of food. We’d have sandwiches, hard boiled eggs and cookies for lunch but then our moms would cook great feasts around fire pits for supper. The menu didn’t vary much which was partly why it was doable for my mom with seven kids in tow. 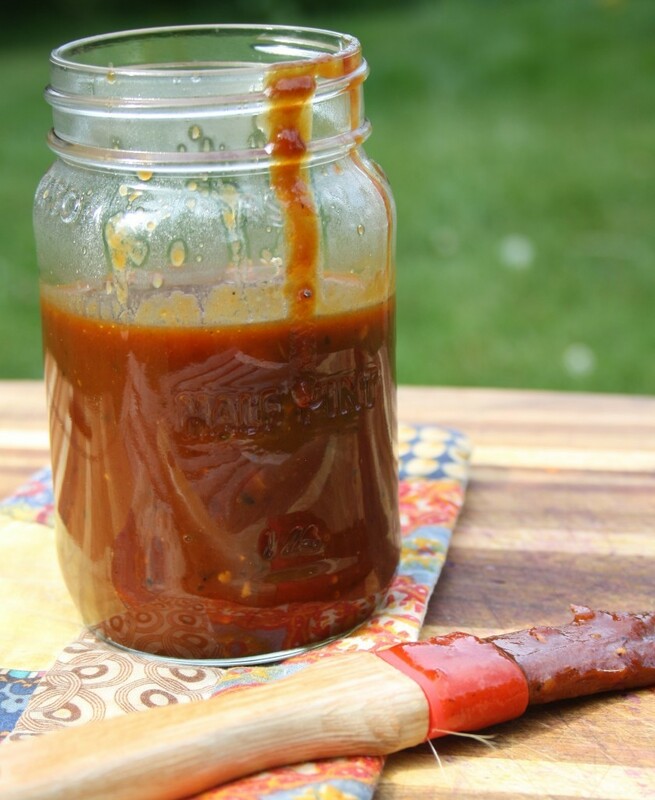 Save time on the day of your gathering by making dressings and sauces a few days ahead of time. Make a double or triple batch so you have extras on hand for a few weeks. Tip: Fresh tender greens are a great summer treat but they can wilt if left for a while with dressing on them. 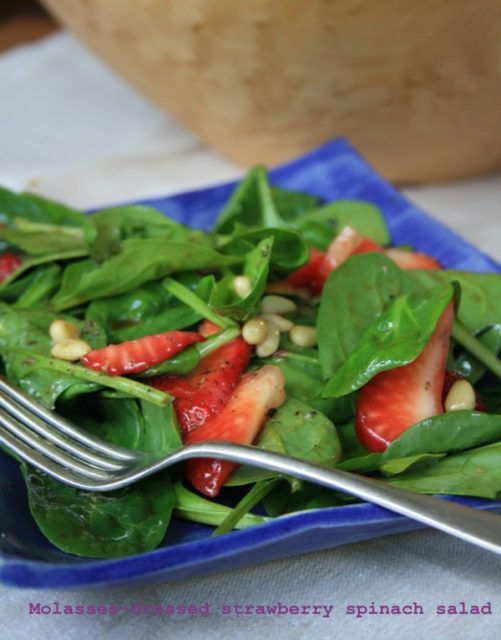 If your salad needs to hold up for a while choose sturdier greens like fresh baby spinach. 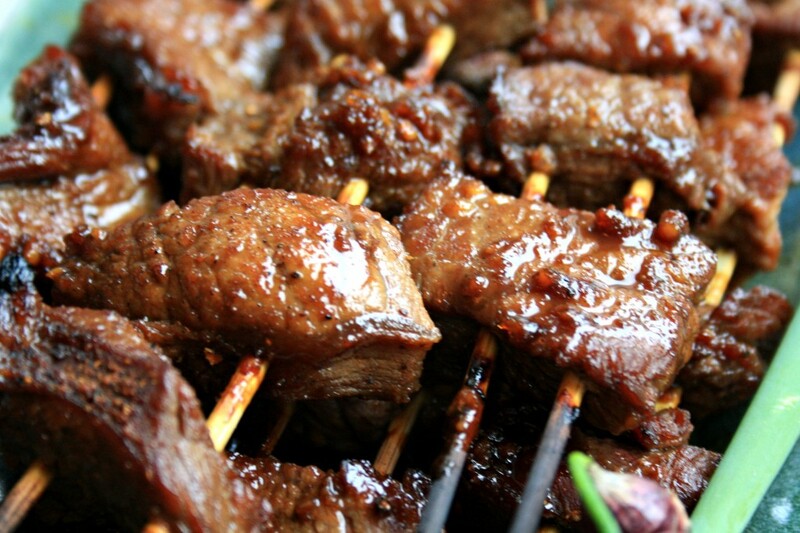 Kabobs cook quickly and are easy to cook on the barbecue or in the oven. 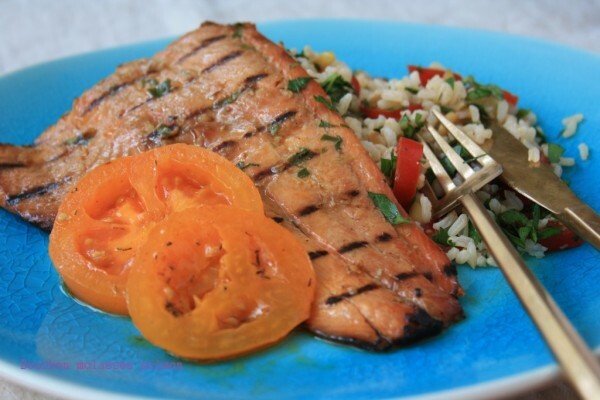 This Teriyaki Sauce recipe works well with salmon, pork and chicken so you could use one sauce recipe for all three types of protein. 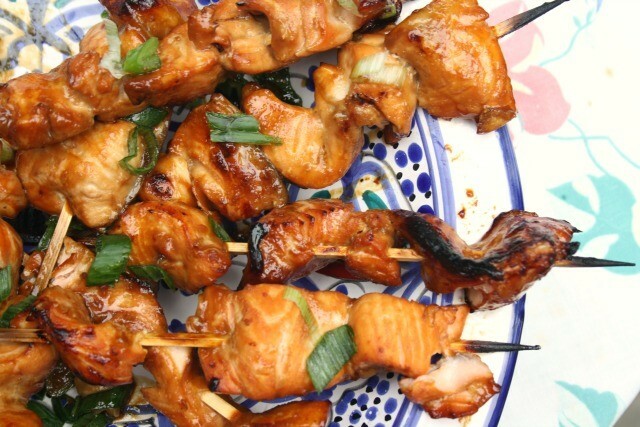 Here are 6 of our best kabob recipes for chicken, fish, pork and beef. Potato salad is a summer classic but mayonnaise and heat is a worrisome combination. Make this French-style Potato Salad (no mayo) to avoid mayonnaise. 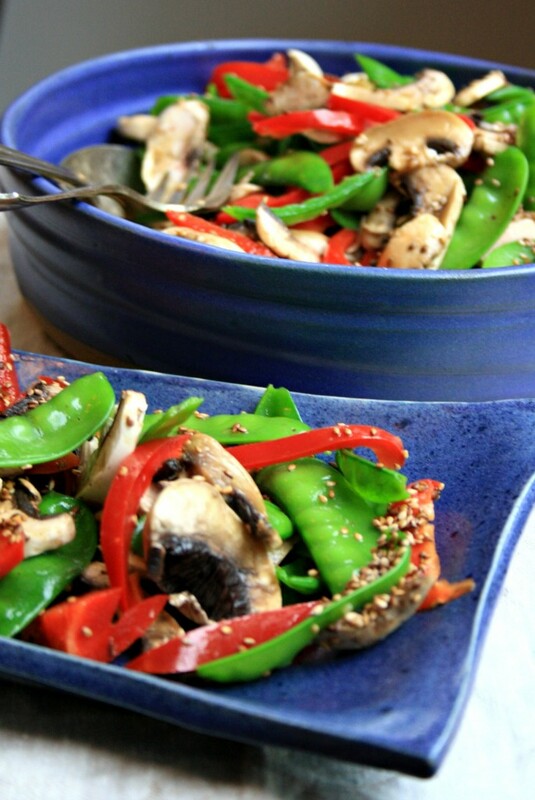 Looking for more salads and sides? 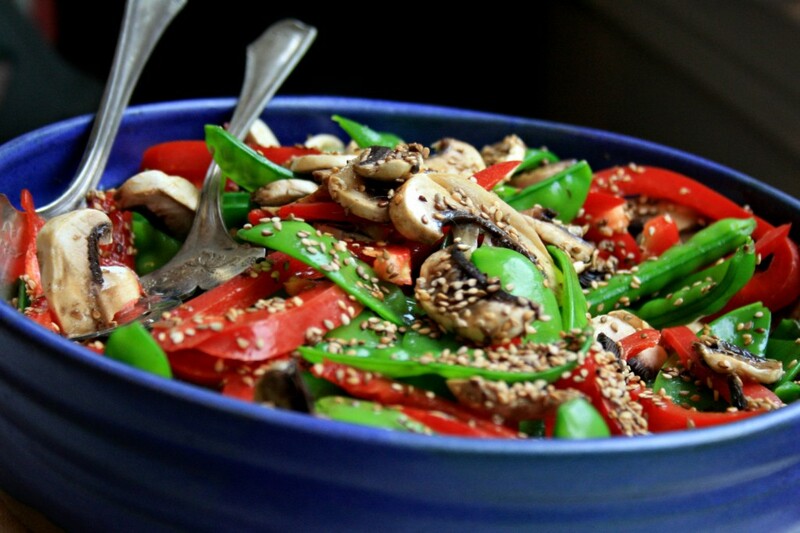 Here are 10 recipes for summer side dishes. 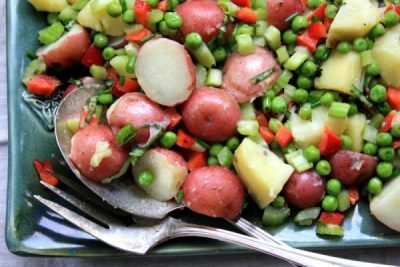 Tip: Make potato salad a day ahead to let the flavours meld and use fresh baby potatoes. They’re delicious and don’t need to be peeled. 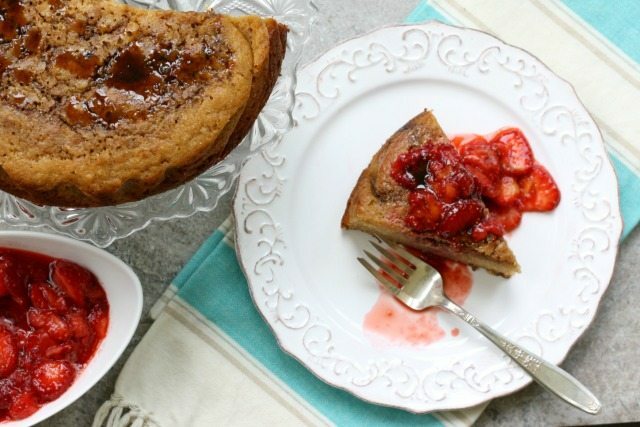 My mom was a master of finding big batch dessert recipes to feed a crowd. 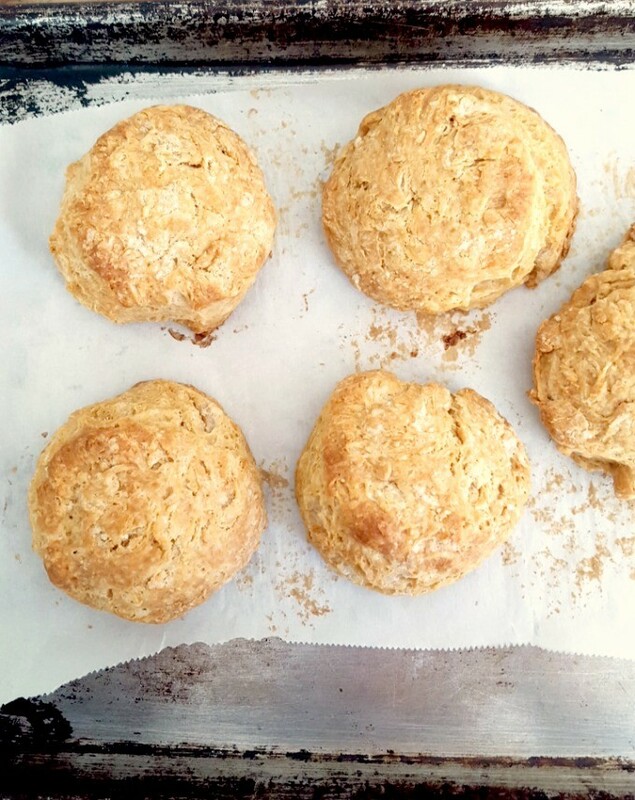 Sometimes it’s as simple as doubling a recipe. You can double this recipe for Blueberry Peach Cobbler and bake it in a 9”x13” baking dish or pan. In the mood for peaches? Here are 4 of my favourite recipes for peaches. These are the desserts I feed children at our gatherings. They’re easy and always a hit. 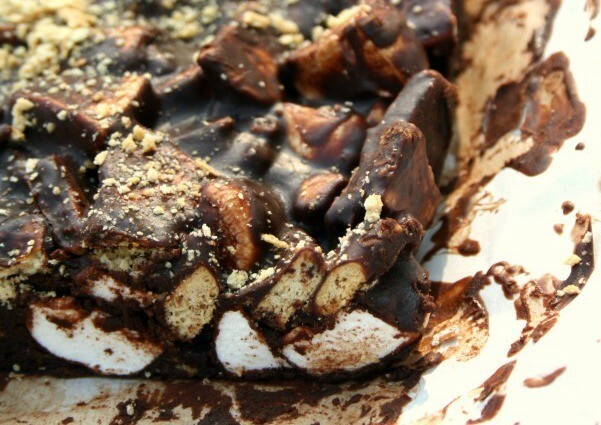 Tip: Put your kids in charge of making the oven s’mores for the other young guests. It will free you up to serve dessert to the adults. The rich, savoury flavour of molasses roasted onions complements any meal – meat or vegetable. 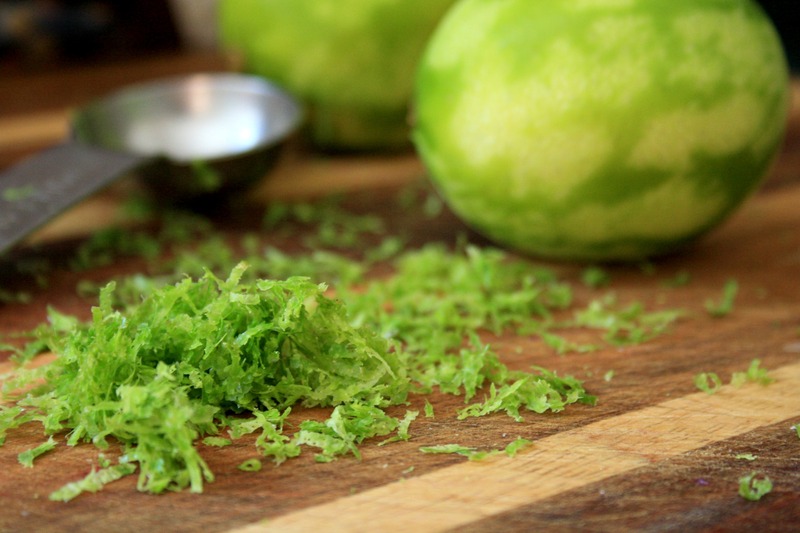 This humble vegetable can elevate any meal – meat or vegetable. Caramelized onions are the easiest way to elevate just about any meal. When cooked for a long time, molasses roasted onions develop a rich, savoury sweetness that complements meats, cheeses, roasted vegetables and anything spicy. 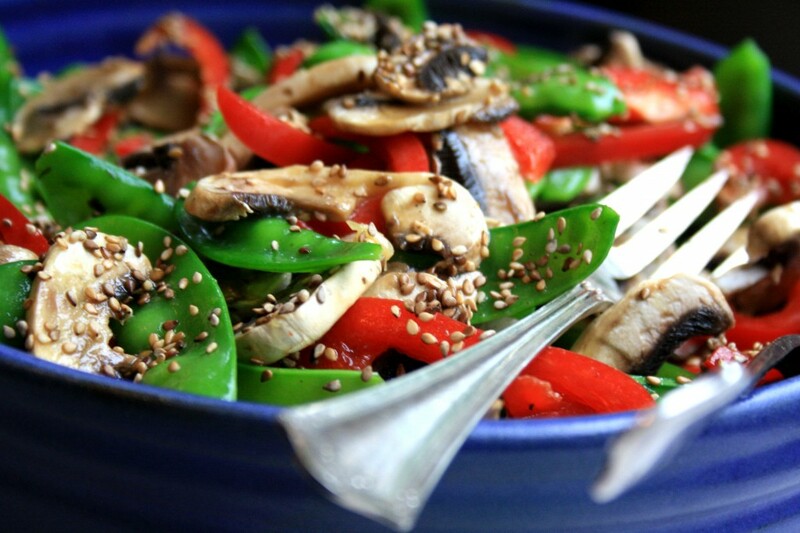 The recipe calls for a little balsamic vinegar (or cider vinegar) which balances the sweet and gives the flavour a bright edge. 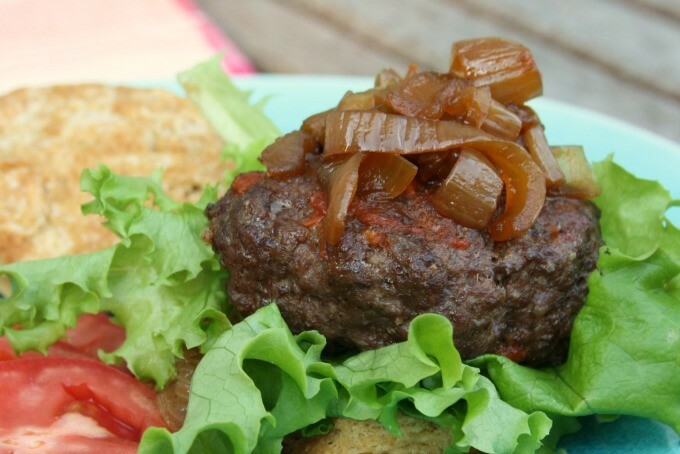 Try these molasses roasted onions as a burger topper, serve them with stuffed mushrooms and alongside roasted squash or sweet potatoes. Leftovers can go on pizza. What burger topper combo do you suggest? 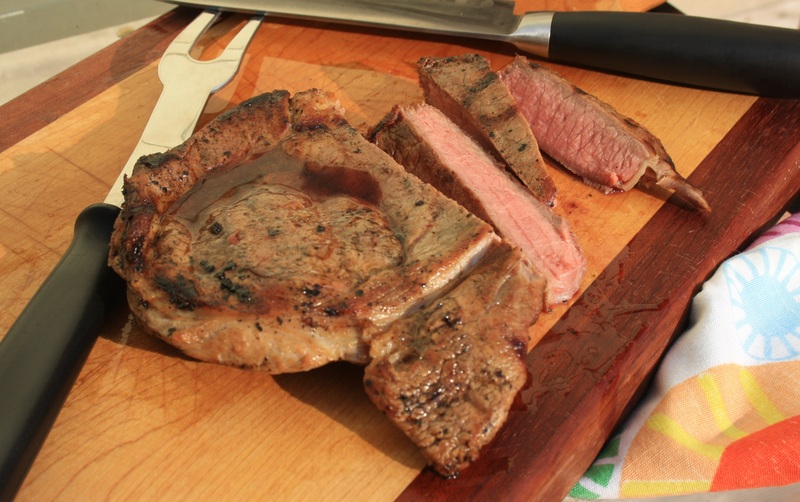 Tip: Make these a few days ahead and reheat them on the grill. Make a packet with tin foil and pour the ingredients in the foil. Wrap well and then wrap again in foil so you have a double layer. Bake in the oven at 350 F or on the BBQ over medium, for about 40 minutes. These onions store well. Make them ahead of time and store in the fridge for up to a week. 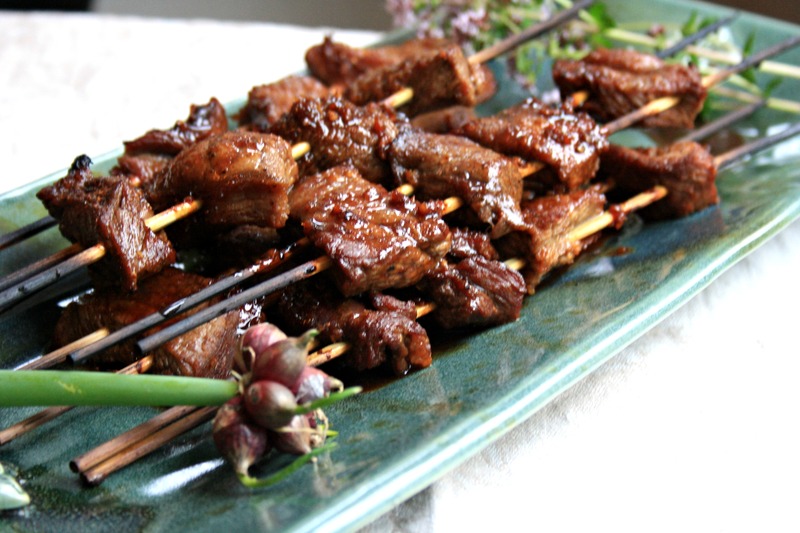 The BBQ eBook features 15 recipes for summer backyard favourites with a tasty twist. 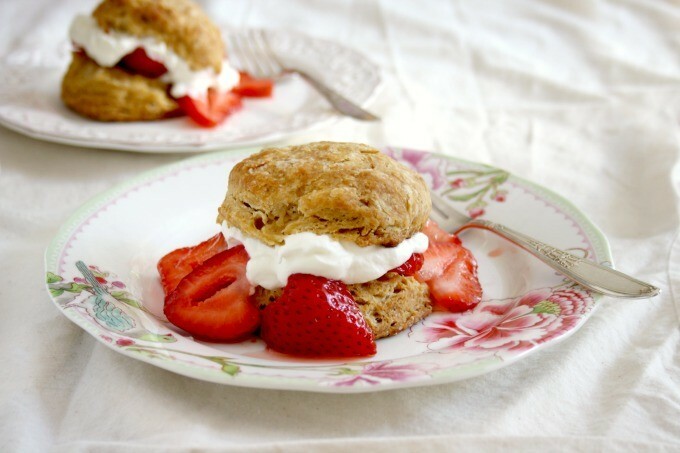 Many of the recipes offer easy variations to help you make them your own: Try different beer in the barbecue sauce, substitute a new kind of oil in the dressing recipe or change up the fruit in your summer gingerbread. 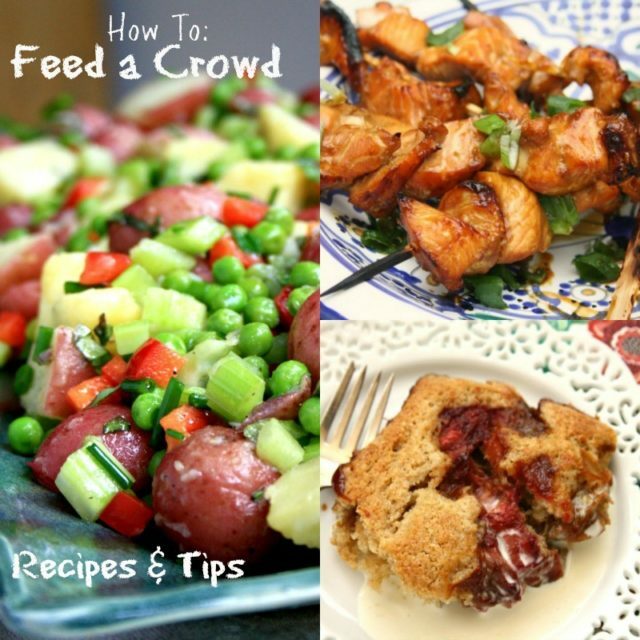 The eBook includes recipes for sauces, marinades, salads, dressings and desserts. In this new eBook we show how adaptable summer recipes can be, and how easy it is to incorporate new recipes into your backyard entertaining. 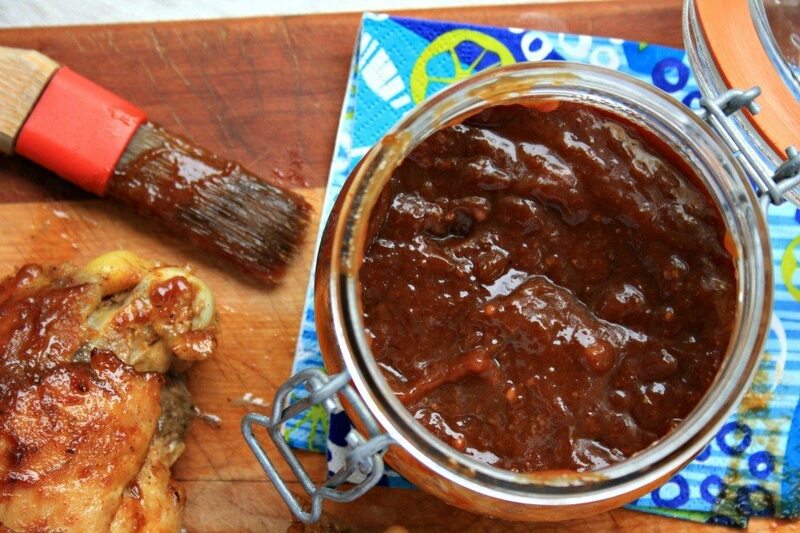 Seasoned with garlic, ginger and chili powder, molasses chili marinade is an easy way to add extra flavour to meat of all sorts. An easy way to feed a crowd. Great with steak, chicken, pork and salmon. 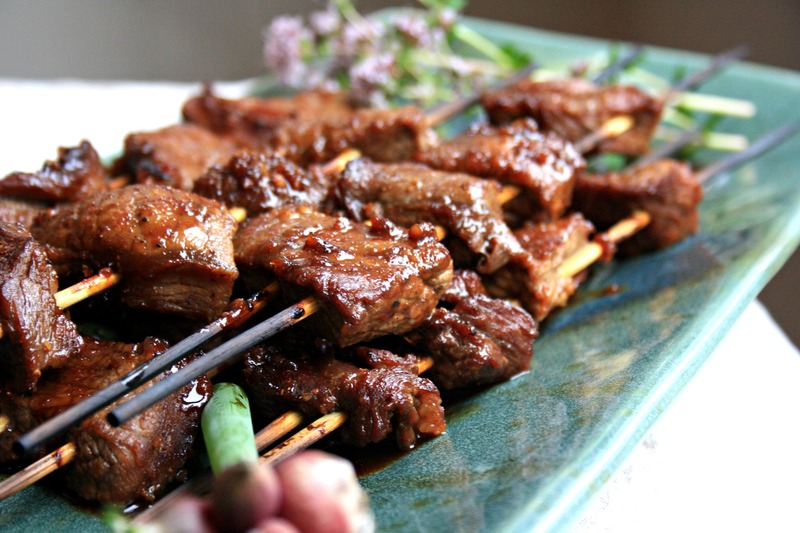 In a medium bowl whisk together brown sugar, molasses, soy sauce, vinegar, garlic, ginger, chili powder and pepper. Mix until the sugar is dissolved. 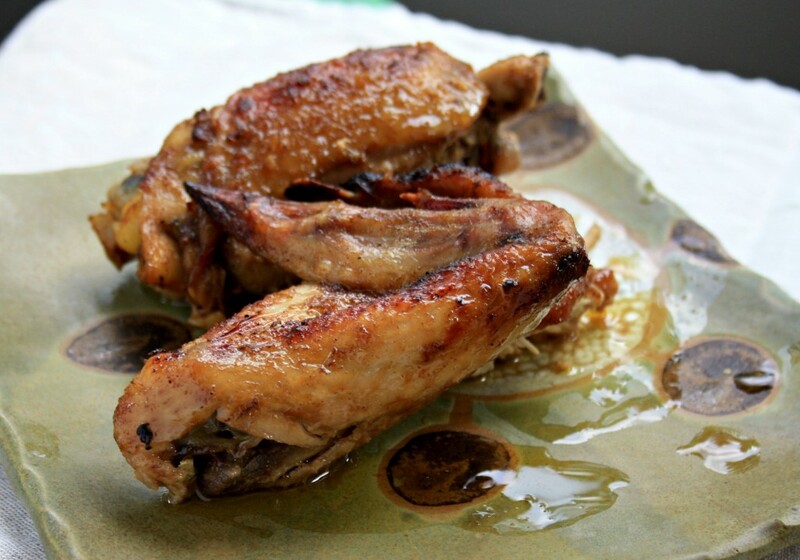 Let marinate in the refrigerator for 1-4 hours, covered, tossing occasionally. 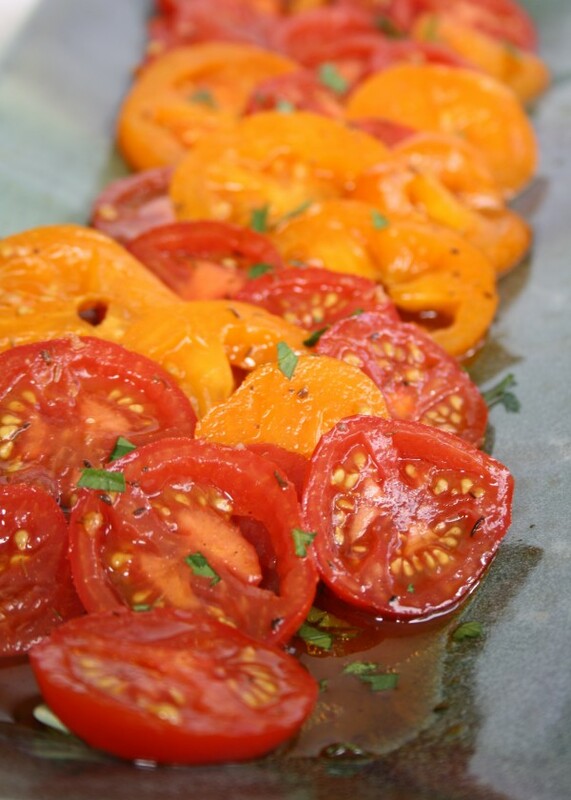 Fresh, flavourful tomatoes drizzled with a garlic paprika vinaigrette and sprinkled with fresh herbs. Delicious and lovely. This is the best way I know to eat fresh summer tomatoes. Some women are crazy about shoes but for me it’s tomatoes. Fresh, local, field-ripened tomatoes. When they’re in season I can’t get enough of them. To add substance nestle slabs of feta or fresh mozzarella in among the tomatoes. 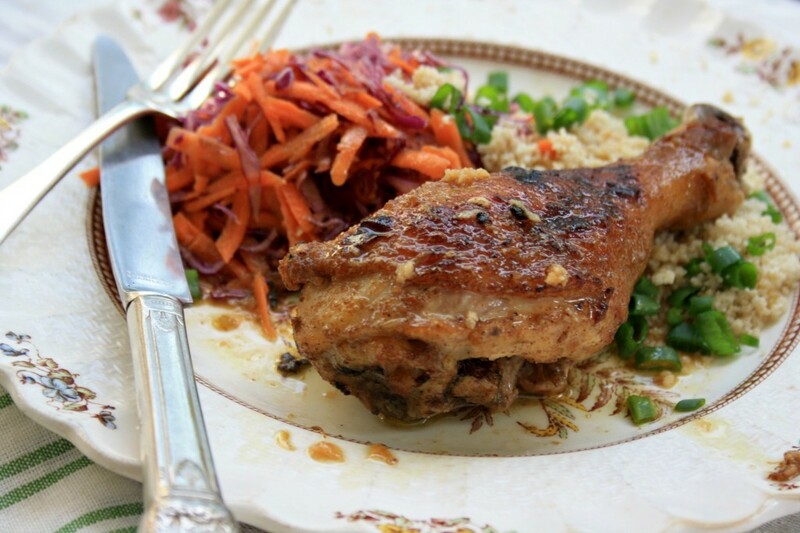 Be sure to serve it with crusty bread to sop up all of the dressing. When summer tomatoes are at their peak this is my favourite way to eat them. Slice the tomatoes and lay them in a dish that’s deep enough to accommodate the marinade without it dribbling over the sides. 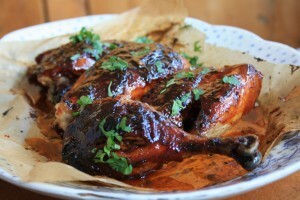 Pour over the marinade and let the flavours blend for a couple of hours. Sprinkle with herbs before serving. If you’d like to make this a bit more substantial nestle some slabs of feta in among the tomatoes. Or you can serve grilled feta on the side. 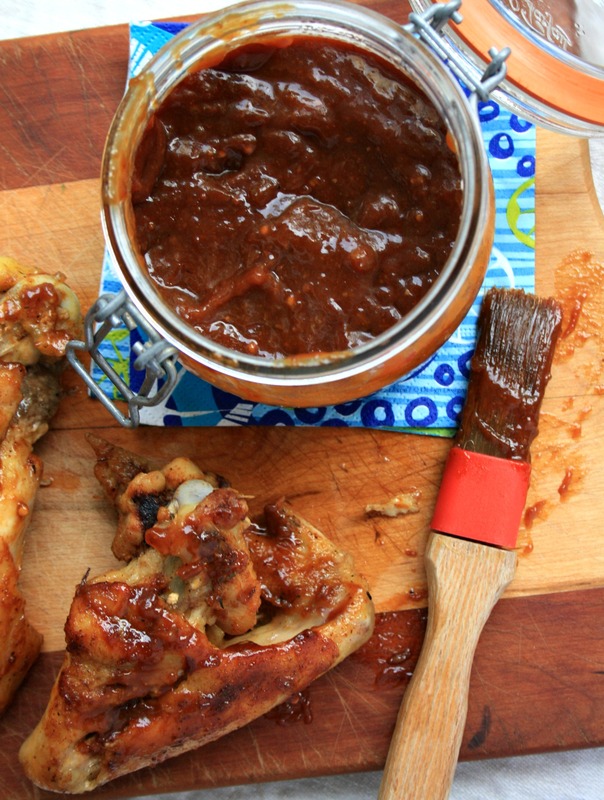 *You’ll have way more marinade than you need so save the extra to use as a salad dressing.